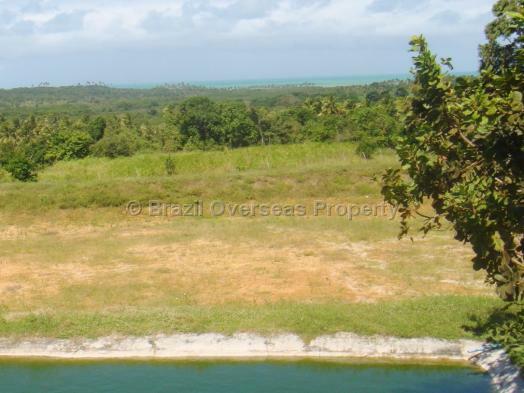 This is one of the best land option purchases available on Paraiba's south coast at the moment being right on the PB-008 coastal road. 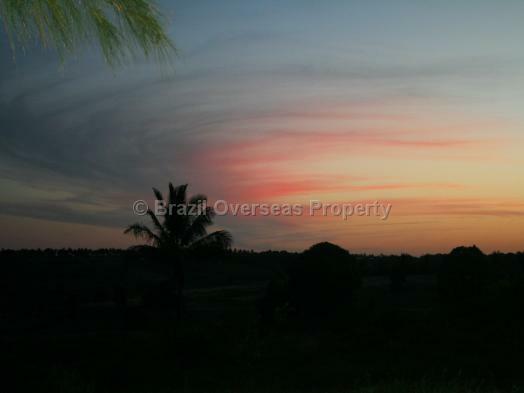 This property is situated on the south coast of Paraiba state in Brazil's North East region being close to Tambaba beach (naturist) and offers easy access to the towns of Jacuma and Pitimbu. Worth noting that this land is just a 25 minute drive away from Goiana in Pernambuco State which is where the new Fiat factory is being built and delivered by 2015. A new main road is being built from the nearby main highway (BR-101) to serve this region too and this road is due for completion in early 2016, so once complete, it will just take 10-15 minutes to arrive in Goiana/PE as an example and mean access to the main motorway will be much faster than today. The land limits extend down to the protected mangroves and river which is a simple canoe paddle to the ocean. This property offers wonderful sea views as you survey the land on offer and the gentle breeze from the ocean makes the environment extremely pleasant. 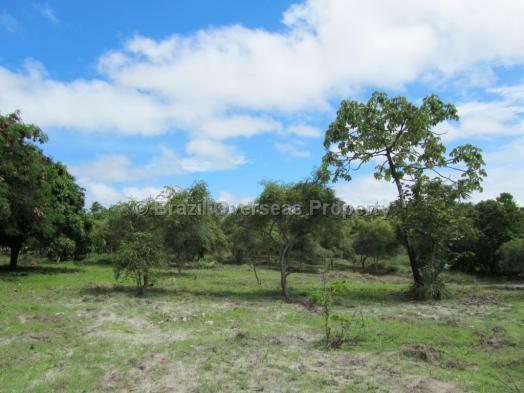 An ideal land option for a property developer wanting to build out projects in Brazil's North East region. 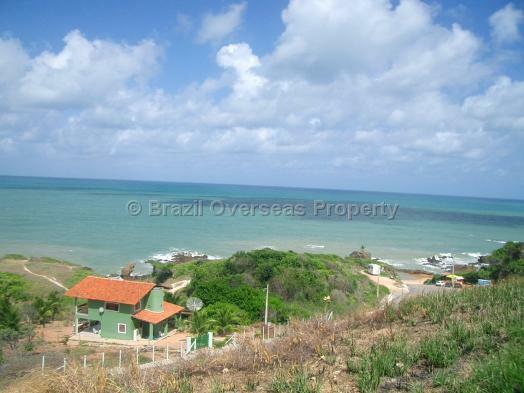 Access to the land is directly off the main coastal road in Paraiba State (PB-008). 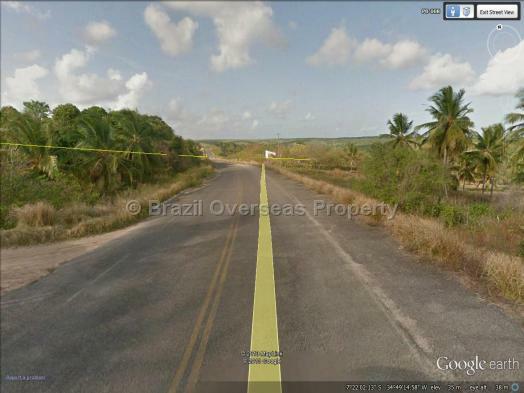 Please speak to Brazil Overseas Property in Brazil for detailed information about this land sale. Tambaba, Conde/Pitimbu district, on the south coast of Paraiba State in Brazil's Northeast. 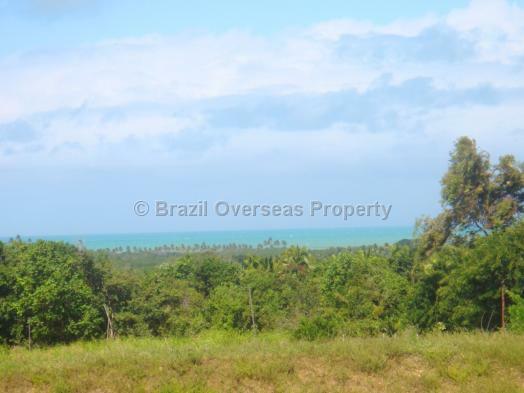 The land offers direct access to Paraiba State's main coastal highway (PB-008). Goiana in Pernambuco State is currently just 25 minutes drive away. A new main road is being built from the nearby main highway (BR-101) to serve this region too and this road is due for completion in 2017. This property is being sold with clear title. The advertised selling price of this coastal land in Brazil includes cost for allocation of your individual Brazilian CPF number, which is required for you to buy rural property in Brazil, although, does not include registration taxes/fees paid in Brazil to put the property into your name or sales/purchasing processing costs. Although it is not mandatory to use a Lawyer when buying Brazilian land, we recommend that you do use an independent lawyer in Brazil registered and qualified with the OAB (Ordem dos Advogados do Brasil), and a Lawyer who is also familiar with the region where you intend to buy your property in Brazil, as well as being fully qualified to deal with the type of property you are buying. If you are an overseas property investor who wants to buy coastal land in Brazil, then you should always receive an officially translated version of the sale and purchase contract into your native language for the property you are buying in Brazil.